We are so sure that you'll be pleased with our service that we won't be satisfied until you are. This attitude extends from the first time you speak to one of our operators until the last time you see our tech walking out the door. Our Vero Beach, Sebastian sprinkler repair & installation team does things a little different than the competition. We are completely honest with you at every moment. We won't pressure you into buying anything that you don't need, only what will make your lawn the envy of the neighborhood. 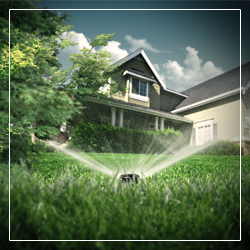 You won't have to look far to see a lawn serviced by Accurate Irrigation, Inc.
To get a reliable, water-efficient sprinkler system installed in Vero Beach and Sebastian or to have high-quality repairs performed, call Accurate Irrigation and Pump at (772) 589-4115 or contact us online. Estimates for installations and repairs are FREE.